It’s competition time and I really don’t know how to explain it. 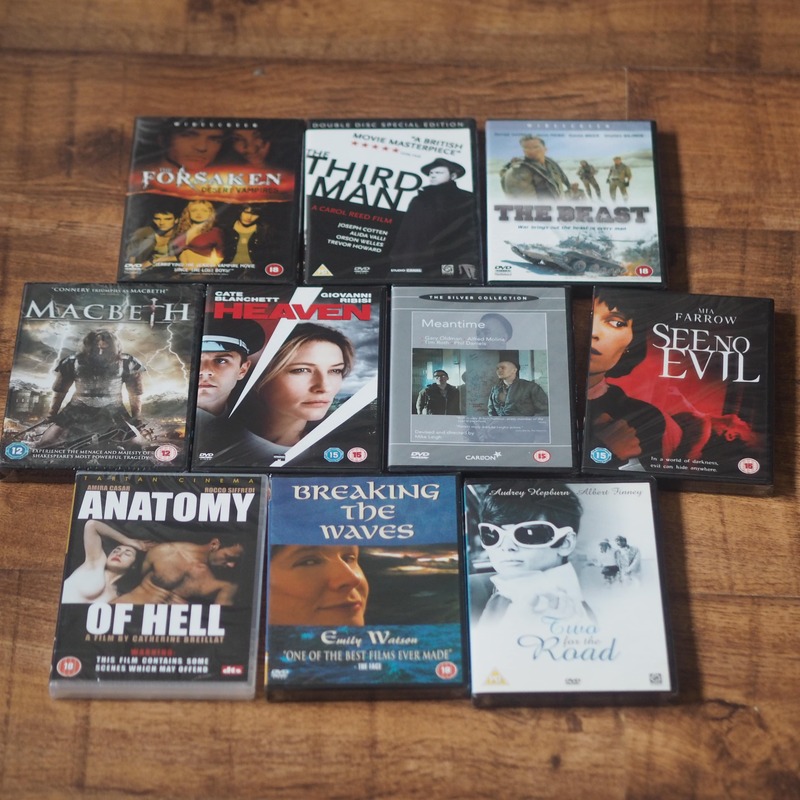 I’ve got a bundle full of 10 film DVDs. It’s a completely random selection, as you will see. I really hope there’s someone out there that enjoys a combination of these (or lives in a household that will). You will understand when you see it all. I checked to see what the Amazon prices were for all of these. Collectively, we have over £80 of DVDs here.